The situation in America has me losing sleep. 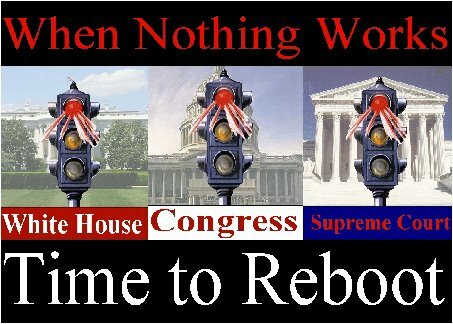 The only recourse I have to the situation is to write letters to my Senators and Congressman. 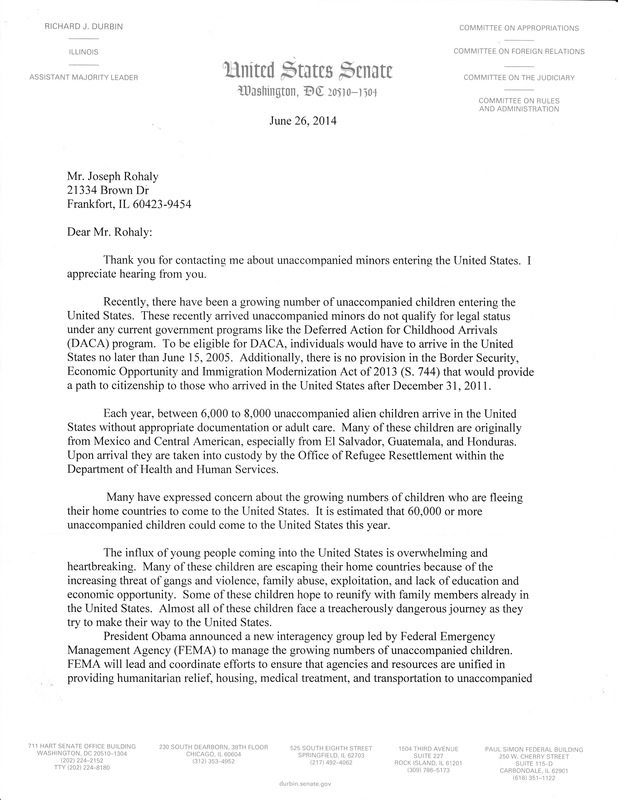 Last month I wrote to them to stop the madness of allowing all these kids swarming into the country over the nonexistent border between the USA and Mexico. If there is no border where does one start and the other end? An insecure border is an abdication of our sovereignty. We might as well annex Mexico or Mexico should annex the USA. Without borders why do we need a Federal Government? Why are they necessary? Oh, I remember we still need someone to oversee the real government consisting of the EPA, IRS, Department of Homeland Security, Department of Education, etc. all of which are useless money squandering entities. Forget the office of the President his only job is to protect us by enforcing laws but he has abdicated that responsibility along with every other supposed responsibilities he has. The same goes for Congress. They respond only to big money groups like LaRaza, and CAIR. Even the Supreme Court has degenerated into a political arm of the Progressive, Socialist, Communist party of the United States. Their responsibility is to decide if the laws passed by Congress are true to the Constitution, but they chose to re-write the Obama Care law to make it work for them. They should have bounced it to Mars and told Congress to fix it. Using the same example, laws requiring expenditures are written by the House of Representatives. The Senate penned Obama-Care. Under the Constitution, each of the three branches of government are equal but separate. Currently we see a huge imbalance between the power of the President and the Congress. Congress is taking it in the shorts. Congress should do everything in its power to curb the Presidential power plays of using Executive Orders to write laws, or the Bureaus like the EPA to write regulations that are worse than laws. If you break a law they arrest you and you get a chance with a trial. If you break an EPA regulation the EPA fines you and takes away your paycheck via garnishment and they don’t have to go to court to seek it either. 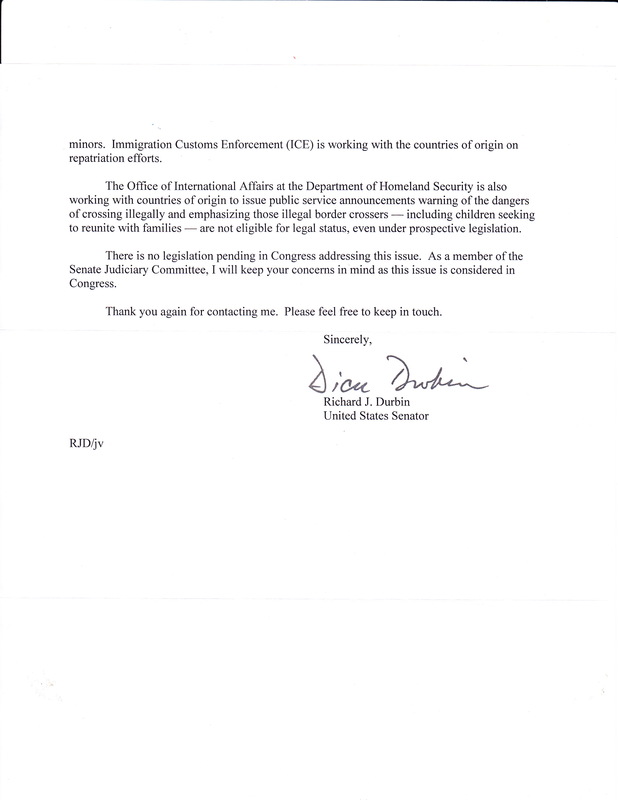 Anyway, Here is a copy of the response I received this week from Senator Dicky Durbin followed by my rebuttal. Thank you for responding to my letter of 10 June 2014 regarding the swarm of children flooding into the country without Visa’s. I appreciate the insightful response and gained some valuable information about our system. What I didn’t get is an answer to why we allow these kids to cross the border in the first place. Where is our secure border? Why is it not secure? Why are these kids not being sent back to their home country immediately? We spend money to bus them, and fly them from one US City to another but not to their homes? What could be more humanitarian than to return a child to his parents? As my Senator, I expect you to be urging, counseling, and even scolding the President to show example to the world by enforcing the laws we have about the rules for coming to the USA. President Obama has recklessly abandoned and choses to disregard the laws for sending VISA-less immigrants back. Yet he sends millions of dollars through HLS to Central American countries to advertise them not to come because of the terrible penalty they will meet. What penalty? How bad is it to be given a court date two years out to state your case, and then be allowed to assimilate into the population living off the system with their incredibly resourceful ability to find Social Security Cards and shirttail relatives? Since I have not read any news about you communicating strong messages to the President to enforce our laws, I can only assume it is because you agree with the President’s policies making you just as guilty of lawlessness. In your letter you stated how none of these VISA-less kids is to receive benefits under the laws you cited., but the President is appealing to Congress to approve his request for 3.7 billion dollars for humanitarian aid to these kids. Please clear something up for me. Congress approved a trillion-dollar bailout of the banks to save the country from destruction. Yet, I hear that the banks have paid back the money with interest. Just where is that trillion dollars now? It seems to me that there is a trillion-dollar slush fund hidden somewhere within the buildings surrounding the Washington Mall. My suggestion to you, and the President, is to find this money and use some of it for humanitarian needs within the country. Also in your letter you very sympathetically state that “Many of these children are escaping their home countries because of the increasing threat of gangs and violence, family abuse, exploitation, and lack of education and economic opportunity “. . . I also suggest you pay attention to the situation in your home state specifically Chicago, where your exact words apply. Where will we send the Chicago kids? To which country will we send our local kids to find a better situation? Senator Durbin, it is time for you to retire and give the position to someone who will have new enthusiasm for solving problems with ideas that work. Rhetorical BS from a career politician who cares nothing about ” We the People”. His EGO exceeds his intelligence.